Does the interior of your home need a touch-up? Do you manage apartments or investment properties and need one touched up before the next tenant moves in? We provide Interior Painting Service for Residential Homes, Apartments, Commercial offices, Building, Move-in/Move-outs and Investment Properties. If its touch-ups you want finished on the internal of your house just before sale or to a full internal repaint of a dwelling you have just bought, we can accommodate you with the decorating service you need to fit inside your budget. 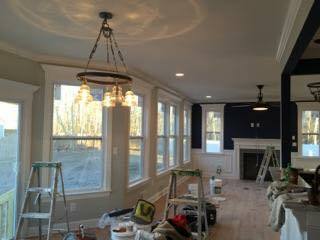 Our talented painters meet one-on-one with you to discuss your goals for your work or living space. After the initial consultation, we give you a reasonable rate and the best solution for your needs.